In the world of software development, the dedicated software tester (also known as the QA engineer or QA analyst) plays an important role in bringing the product to market, but they don’t actually create any tangible part of the product. So, what is the QA Engineer’s creative input to the project? The UI/UX designer made the look and feel, the software developer wrote the code, but what did QA create? Well, the plain answer from an end user is absolutely nothing, even through the product would have been different without the contributions of QA. As a result, the software QA position might be perceived as the least creative contributor on the development team. In any case, from the outside, it looks like a low creativity position, and there are some valid reasons for thinking that. The primary function of the software tester is to verify that software is working in the way it has been designed. In other words, the “creatives” envisioned it, designed it, and coded it before QA came in to verify that it meets predetermined criteria. Does this mean software testing is a role that requires little or no creativity? Absolutely not. In fact, a creative mind is crucial to being a good tester. As a long time software tester, I know from experience that I am much more satisfied in my work when I can exercise my creativity. It’s important for anyone in a software testing position to find ways to creatively make something that is valuable to the development process. Over time, software testers become very familiar with a product’s design, functionality and potential uses. In fact, QA may eventually know the design better than the team who initially drafted the product’s concept. This inevitably happens because testers are acutely aware of every change made to an application’s workflow, even when the design team has moved on to the next project. In some cases, designers come back to previous features only to address issues. With their experience, a software tester becomes an excellent resource for the design of new features and functionality that will be integrated into an existing product. How does testing uncover design flaws? UX/UI designers rely on QA to uncover flaws in the design of a product by quickly identifying scenarios where the design is not adequate. During the software development process, testers and developers are given requirements for features to be built. They include all the desired functionality for when a feature is implemented, but it doesn’t cover every scenario that should be tested. When developing use cases for testing, the tester must consider all possible uses for the feature. This requires the tester to think like an end user and produce scenarios that will test the design and the functionality. Creativity in the test case authoring for those use cases, is crucial to uncovering design flaws and other bugs during the development process. The tester must consider the uniqueness of each user and plan for that user’s individual approach to using the application. After test cases, the next most important aspect of software testing documentation is the reporting of test results. The first part of this documentation is the low-level reporting of defects, but reporting the discovery of defects should be considered the most important piece of work delivered to the development team. Without the proper steps to reproduce a defect and other vital information such as the environment under test, the team cannot capitalize on the excellent work done by the QA team. Documenting these items provides an opportunity for QA to be creative. Making screenshots, videos and additional visuals to provide developers with the clearest information possible regarding defects is an opportunity for a tester to use their creative prowess. At a higher level, test result reports provide a view of the state of the product. Statistics showing the percentage of test cases that have passed, failed or have not been executed, provide insights to the state of the application and guidance for projecting a completion date. Other stats such as the number of bugs fixed or re-opened during a test cycle, give management an idea of the levels of progress being made. The reporting of these numbers can be done in a variety of ways. This is an area where QA can creatively produce documentation that can reinforce the value of software testing and provide product managers with information necessary to make decisions tied to resources and timelines. Because software testers don’t create the code that produces the end product, documentation delivered by the QA team is particularly important. 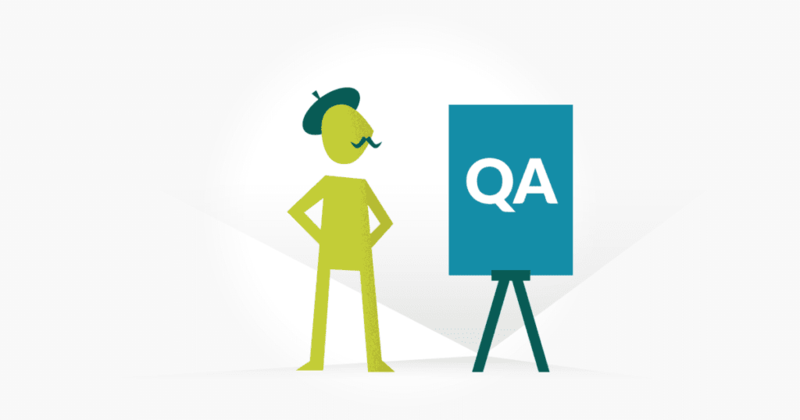 Without documentation, it is difficult to quantify the work and value of QA. Each piece of documentation requires thoughtfulness and creativity. The QA engineer should continuously strive to improve the effectiveness of documentation that is produced. I have hopefully convinced you that it’s needful for software testers to exercise creativity so they can perform at a high level. Everyone has an innate desire to be creative. If you are in QA, try to document more, even if it might not seem necessary at the time. The creation of documentation or reports will give testers the satisfaction of making something that displays their effort and creativity. This goes a long way when their primary role is evaluating other’s creations.